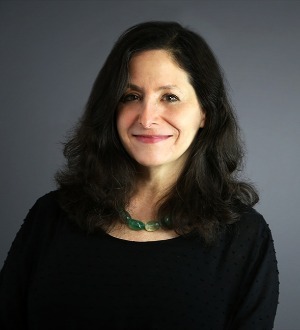 Susan L. Goldenberg concentrates her practice in sophisticated estate planning for family business owners and wealthy individuals on a multi-generational basis. She also has extensive experience in real estate law. Susan has spoken to numerous organizations regarding estate planning considerations for women and family businesses owned by women. She has been a member of the governing board of Ravinia Associates, the Metropolitan Board of Youth Guidance (a private social service agency benefiting Chicago public school students) and the junior board of the Chicago International Film Festival. She has also tutored indigent Chicago public school students. Recently, she concentrated her volunteer efforts on Simpson Academy for Young Women, which is the only Chicago public school devoted exclusively to pregnant students. Sue is a member of the Professional Advisors Council for Children’s Memorial Hospital. She has been AV Peer Review Rated (the highest possible rating) via the Martindale-Hubbell Peer Review Ratings from 2002 through 2014. Susan is also a member of the Leading Lawyers Network. She has been selected by her peers as a Leading Lawyer in Trust, Will & Estate Planning Law. Additionally, she was selected as one of the Top Lawyers of Chicago for 2013. In 1998-1999, Sue attended a year-long program in Fine and Decorative Arts at Christie’s International Education in London and received a Certificate of Fine Arts from Cambridge University.